Tradition is what grows when we allow all of our influences and all of our histories to emerge in some form. Wendy Jehlen’s career has been marked by international explorations, study and creative collaboration. She received her Bachelor’s degree in ritual and performance from Brown University and her Master of Theological Studies degree from Harvard Divinity School. Her unique approach to performance incorporates elements of Bharata Natyam, Odissi, Capoeira, Kalaripayattu, West African dance, Butoh, and a wide-range of Contemporary movement forms. Her emotionally powerful choreography has been created and performed in the US, Canada, Italy, India, Japan, Benin, Brazil, Burkina Faso, Mali and Turkey. 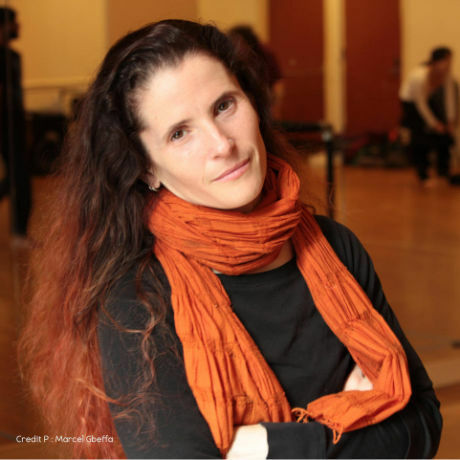 Her works include Conference of the Birds (2018), a multi-media dance theater work for an ensemble of eight dancers from eight different countries, Entangling (2015), a duet with Burkinabe choreographer Lacina Coulibaly inspired by Quantum Entanglement; The Deep (2015), a work for 25 dancers created in São Paulo, Brazil, Lilith (2013), a solo on the first woman; The Knocking Within (2012), an evening-length duet on a disintegrating relationship; and the Forest (2010), a journey through the archetypal forest among others.